As Marty Goodman wrote, regarding HID lights, "With vastly more light available, night bicycling is qualitatively far safer. The road can be lit both further ahead and, even more important, far more brightly to the sides of the bicycle." Unquestionably, HID (High Intensity Discharge) lights, based on Metal Halide technology, provide the greatest efficiency. There are two big advantages of HID lamps. The first advantage is that they have no filament so they last much longer than filament based bulbs. The light is generated by an electric arc, which is why high voltage is needed. The second advantage is that they are more efficient in terms of the amount of lumens per watt, so you can get by with smaller and lighter batteries. It used to be quite complicated to construct a homebrew HID lighting system, however there are now driving lights with integrated HID circuitry designed for motorcycles. 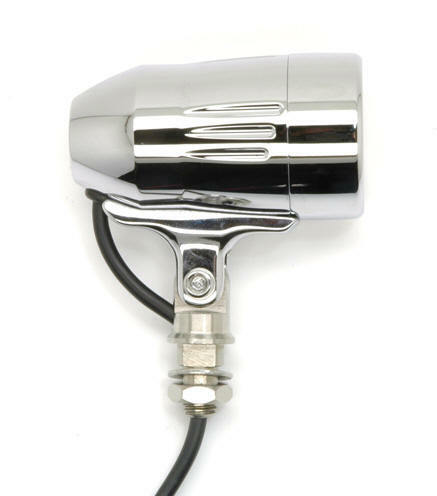 There is no excuse for the high prices of HID bicycle lights, as the actual circuitry to drive the lamp is not very expensive. For those that have a thousand dollars burning a hole in their pocket, Peter White Cycles offers the German made Busch & Müller "Big Bang" for a mere $953 (plus $3 for a European to U.S. plug adapter for the charger). It's good to see that this company recognizes the advantages of bright lights, as their main product line has been dynamo lights until recently. See http://peterwhitecycles.com/bigbang.asp. Personally, I'm as philosophically opposed to spending that much for battery powered headlight as I am to spending $300-500 on a good dynamo powered system. MR11 Size. 13 watts (1.1A at 12V). 500 lumens. Available in Spot or Flood. $115. 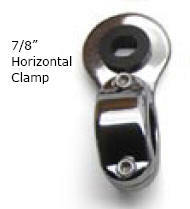 They also sell clamps for 25.4mm (1 inch, but no 15/16" clamps. Dual MR11 HID with 1" clamps is HIDH-100. You get one spot, and one flood I guess that you have to call to order, as it's not on their site that I could see. If you buy the clamps from TrailTech, then you should get the lamps with the anti-shock non-rotating posts. If you are going to use your own mounting system, then get the lamps with the round post. These are not quick release clamps, so bear that in mind if you park your bike in high-theft areas. 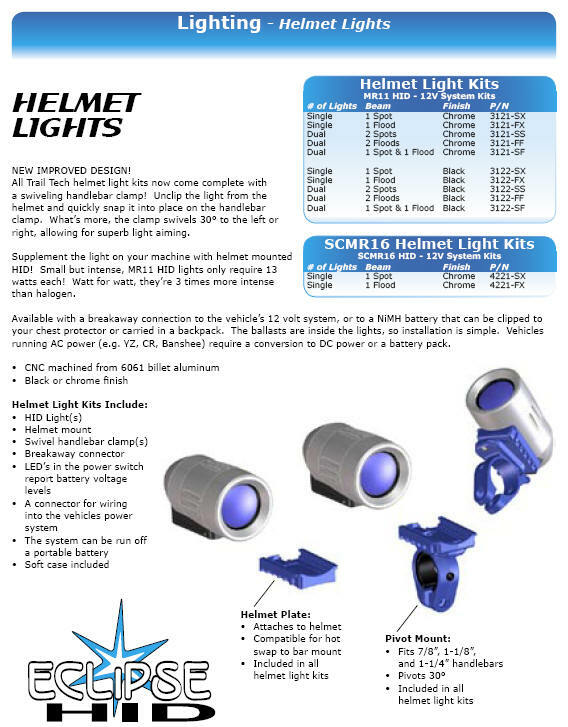 TrailTech sells a line of helmet lights that comes with bar clamps, helmet mounts, battery and charger. Again, these are motorcycle lights, but nothing stops them from working on bicycles. A system with one lamp is $200, and a system with two lamps is $300. While these clamps are plastic, they are quick release which is an advantage. There are several manufactures of HID lights for bicycles, but they are very expensive. Personally, I believe that it's much more economical to over-voltage a 10 watt MR16 halogen lamp by 10%. You end up with similar illumination, at a lower cost. Note that to achieve the same illumination with an MR11 halogen lamp, you'd have to over-voltage a 20 watt lamp by 10%, resulting in about 24 watts, which would about double the power consumption of the HID. The downside to over-voltaging is that the lamp will last fewer hours. You should carry a spare bulb with filament based lamps.